Under Construction. 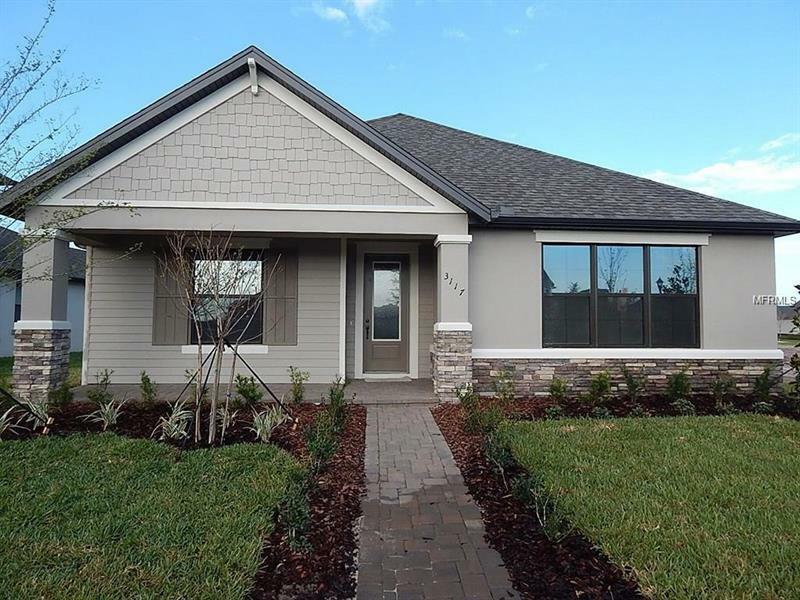 This beautiful home has a paved pathway that leads you up two steps under the covered entry, with columns on the ends, delivering you to the front door. The garage is in the back of the home so you can absorb all of the exterior beauty this home emits. As you enter into the foyer you are welcomed by the first bedroom on one side. On the other side you will find two bedrooms separated by a full bath, perfect for a guest staying over for the holiday weekend. As you head further into the home you will find the elegant kitchen with wrap around granite countertops, large island and walk-in pantry, now you will find excuses to make over-the-top meals. The dining room is adjacent to the kitchen so serving and cleaning has never been easier. Further past the dining room is the family room. The master bedroom features a spacious walk-in closet and a master bathroom with dual vanity, enclosed toilet and walk-in shower. Do you need some extra space to convert a room to make it your very own? Then head upstairs to the bonus room where you can create your own room in this space, whether you want to set up your in-home gaming center or create that hangout space you always wanted. This home is a must see; contact us today to schedule a tour!